Katie began volunteering with Lovelane in the spring of 2012 while working in the biotechnology field. She credits the Lovelane community for inspiring her to change careers and pursue a master degree in Occupational Therapy. Katie graduated from Boston University in 2016 and currently works for Spaulding Rehabilitation Hospital in Charlestown, MA. 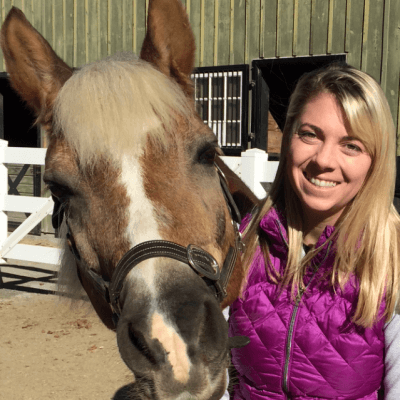 She also received her MA Riding Instructor License in June 2016 and escapes to the barn to work alongside all of the students, staff, volunteers and four legged friends who inspire her daily! Katie plans to pursue her hippotherapy certification in the future!